As time passes, our rugs, mats or carpets tend to sustain more and more damage. It isn’t noticeable at first, but after a few years, you start realizing the difference and even feel it. Well, something else to be concerned about as your rug ages is how dirty it becomes. Dust and debris are the main culprits when it comes to carpet damage and then there is the mold infestation that you have to deal with once in a while. Well, the dirtier the rug becomes, the more difficult it gets to clean and the more expensive the cleaning becomes. The work that needs to be done on your carpet or rug depends mostly on its age and the overall value. The another major question to ask yourself is whether to deep clean the area rug, or just throw it away. So, what should do? 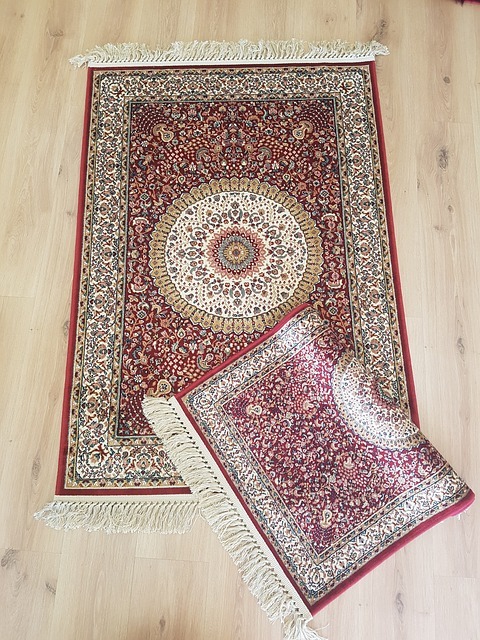 There is no denying that noticing a tear or damage on your rug can be hard to swallow, particularly if the rug is an Oriental carpet or an antique, both of which are very expensive. If your rug is a high-quality one, then disposing it would be a waste. As such, you might find rug repairs to be particularly helpful. However, you will need experts in carpet repair if you want the mat back in its ideal condition. These specialists have experience and extensive knowledge of the rug’s fabric, color, texture, weaving and much more. Keep in mind that improper rug repairs can really take a toll on the overall value of your mat. Antique rugs are considered to be masterpieces, and unless great care is exercised, they can easily get tarnished. For fabrics that have patches that are already worn out or even fabric that has faded as a result of aging, rug restoration should be the way to go. Again, a professional in rugs repair and restoration can be of handy when it comes to reforming tears and holes that your area rug may have on its edges and bodies. They will fix the worn away pile and reweave the sections where the pile has worn out. The primary goal in rug restoration or repair should be attempting to maintain the area rug’s authenticity. However, rug repairs and restoration can be expensive, time-consuming and very challenging, which leaves us wondering whether it’s worth the risk. How exactly do you decide whether fixing your rug is better than replace it with a brand new one? Well, if your rug is an antique or a precious item to you, then restoring it to a good condition is worth it. Also, the price of both should be a guiding factor. Which costs more? If the repair calls for more, then it’s better to purchase a new one. If a new one is more than what a repair specialist is asking for, then consider having the rug repaired. Just remember to use a reputed specialist for this kind of work.